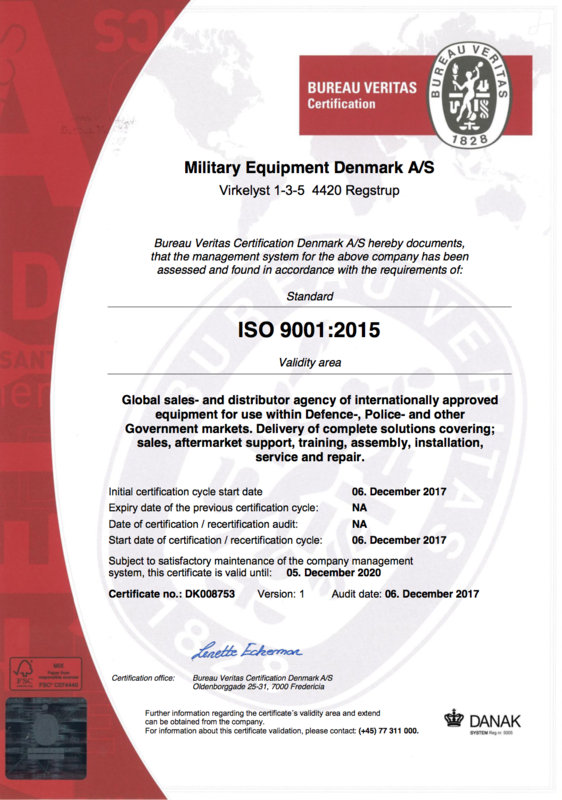 Quality assurance is a top priority to Military Equipment Denmark. Our goal is to ensure high standards in all of the company’s services and processes. In order to ensure compliance with our own goals and quality policies, we have introduced the ISO9001:2015 QA-system that we apply to our process. With the ISO9001:2015 QA-system we want to ensure that our customers are left with a feeling of top professional standards, efficiency and homogeneity in our operations. We aim to adapt, develop and evaluate the ISO9001:2015 QA-system in order to ascertain that the system continues to be efficient and suitable thereby enabling us to live up to our own quality policy and quality targets, if any. The purpose of Military Equipment Denmark’s environmental policy is to guard the environment and limit the waste of resources for all Military Equipment Denmark’s facilities, and functions in Denmark. Our waste policy aims to limit waste and pollution of the environment, reduce the consumption of CO2 and comply with green legislation. Our employees take an active part in improving the environment. 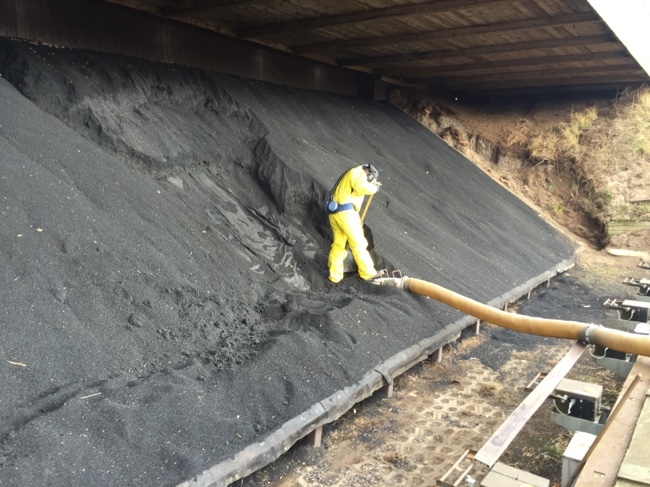 Our environmental management system ensures constant environmental improvements to the benefit of our customers and suppliers.